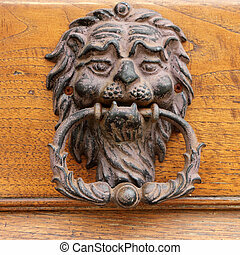 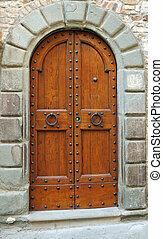 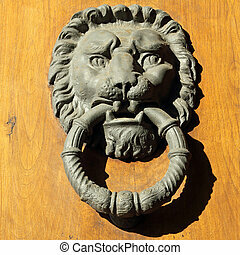 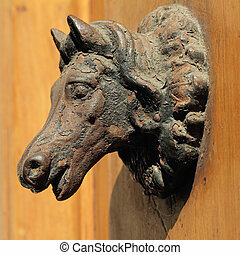 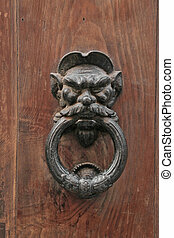 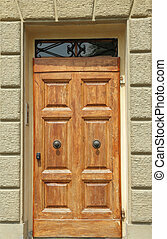 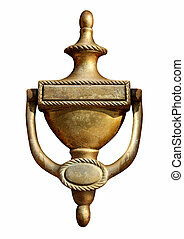 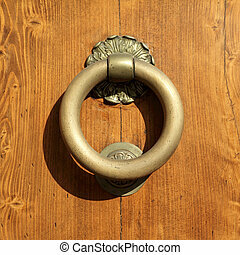 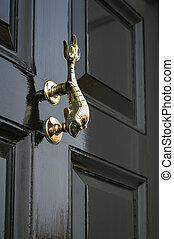 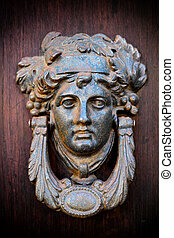 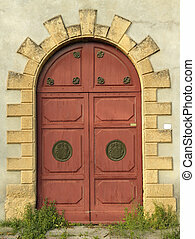 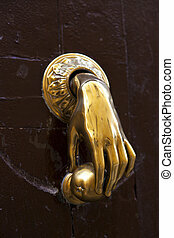 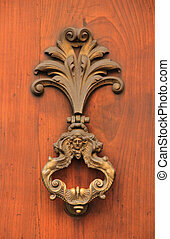 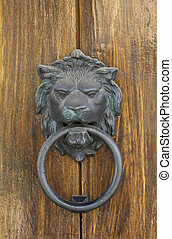 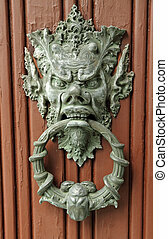 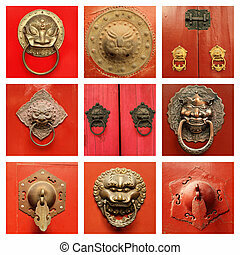 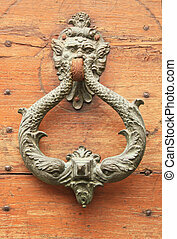 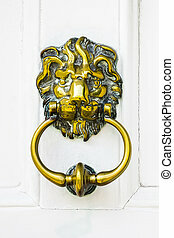 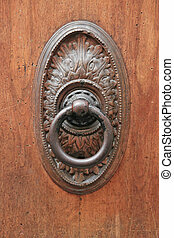 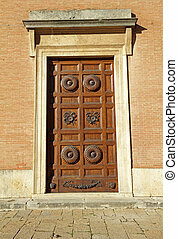 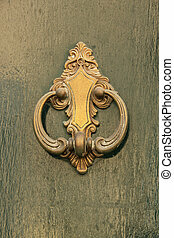 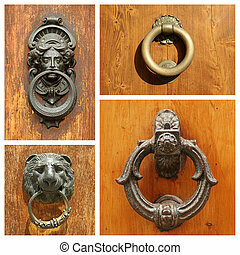 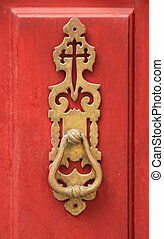 Elegant antique door knocker. 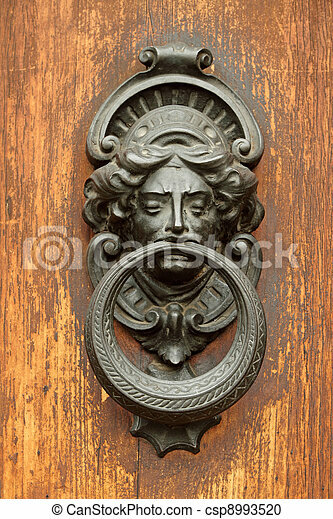 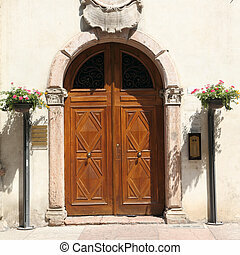 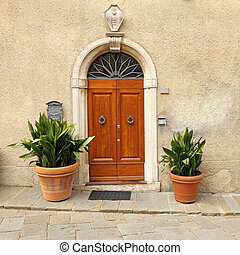 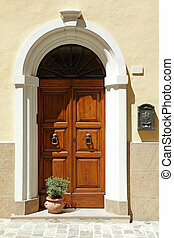 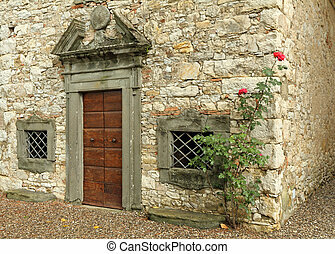 Vintage door knocker in tuscany, italy, europe. 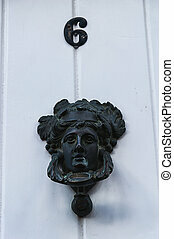 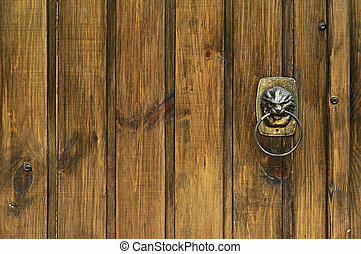 Elegant door knocker made of old fashioned vintage brass metal isolated on a white background as a symbol of residential and real estate home entrance.